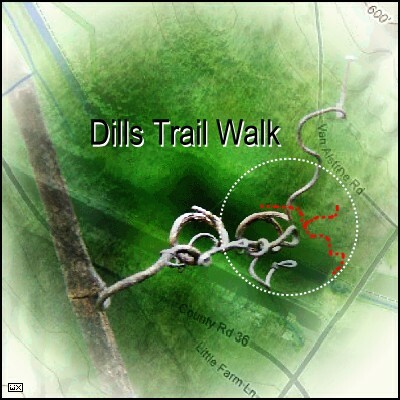 "Book Cover: Dills Trail Walk"
"... walking would teach people the quality that youngsters find so hard to learn: patience ..."
I know, I should walk more! Even I need to step it up a bit this year (no pun intended). Maybe it's because I'm watching where I'm going for once instead of thinking about where I've been. Yo! TR, heap big thanks for the comment and for dropping in.